Ever since the very first Pong arcade cabinet hit the market in 1972, multiplayer titles have been the lifeblood of social gaming. While in previous years, the competitive side of gaming was limited to friends or players in the same location or on the same network, the past decade has seen online multiplayer titles largely push out “couch multiplayer” or LAN-based tournaments. Supported by the rise of high-speed internet connections, a particularly competitive side of online gaming has come forward over the past several years: eSports. An extension of online multiplayer tournaments, eSports competitions are designed to pit the world’s elite players against one another in professional leagues and tournaments, much like physical professional sports. Here at Master Mazuma, you’ll be able to learn exactly how the growth of eSports has opened up your betting options. Some of the most popular titles to have contributed to eSports growth in recent years include Dota 2, League of Legends and Overwatch – all of which you can now bet on at Master Mazuma. Multiplayer online battle arena (MOBA) title League of Legends, for example, now attracts over 100 million monthly players across the board. According to recent research, the popularity of games like these will help eSports growth reach a staggering 41% year on year in 2017, with the industry expected to create total revenues close to $700 million. Credit: Dota 2 via Facebook. You only have to look at some of the big-money deals involving the industry to see eSports growth in action. Online retailing and tech giant Amazon, for example, purchased live streaming service Twitch for close to $1 billion in 2014, while Modern Times picked up a majority stake in ESL – the world’s first organized eSports league – for $87 million in 2015. As you’d expect the top players themselves are also benefitting from eSports growth, receiving prize money, sponsorships and a guaranteed salary. For example, Saahil Arora, the world’s highest paid eSports player, received $2.7 million just in 2016 from sponsorships and prizes. Of course, eSports growth isn’t only limited to the sponsorships, professional contracts and prize money on offer. 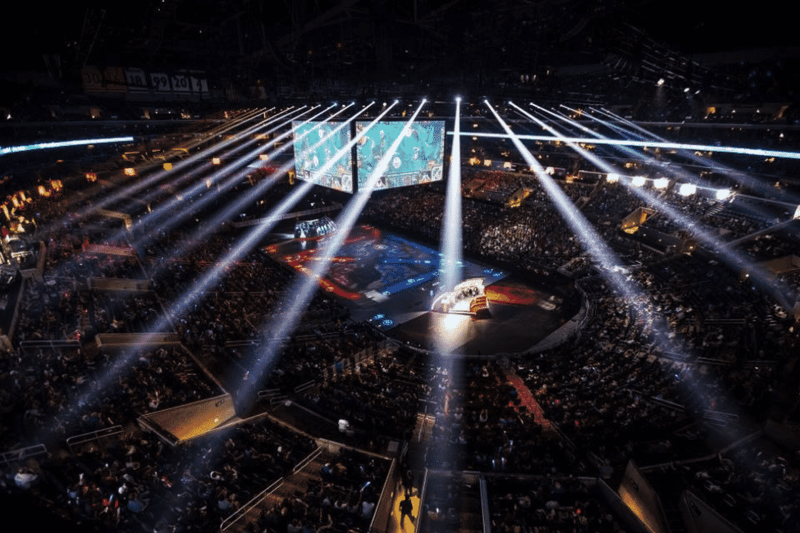 It has become a successful spectator sport in its own right, attracting tens of thousands of people to live events as well as million of viewers via broadcasters such as those on Twitch. According to some estimates, eSports was anticipated to have a global audience of over 226 million viewers as of 2016 – up from 150 million the year before. As eSports growth continues to rise, the betting markets associated with it are sure to grow, too. Here at Master Mazuma, you’re in the best place to take part in the wide range of eSports betting markets. Our eSportsbook offers multiple payment methods, including bank transfer, MasterCard and even Bitcoin transfers. Not only that, but by signing up to our betting community, you will receive exclusive welcome offers and free bets – such as bet 5, get 10 – along with enhanced odds on some of eSports’ largest events.